You really need to go back and try some of these before proceeding onward. They are the great dishes that everyone needs to be able to make. These are the dishes that will give you something to talk about and make you a true Bravado chef. 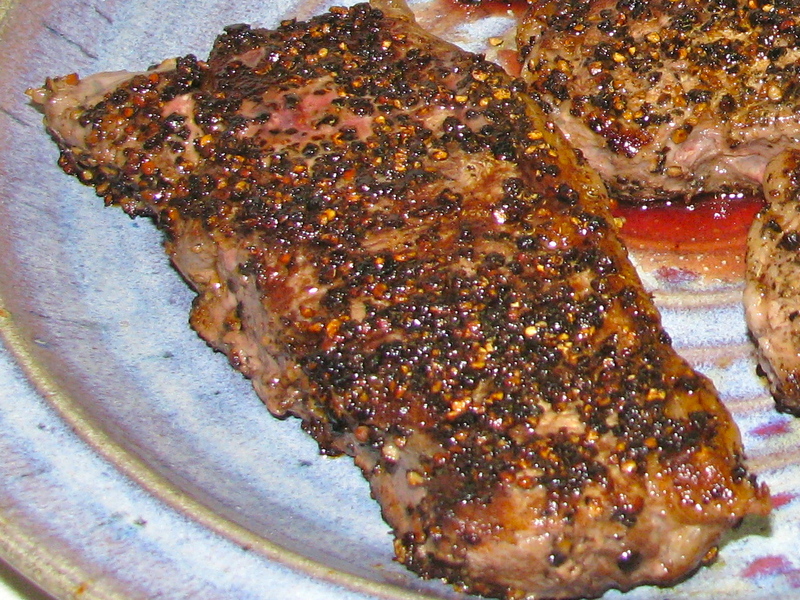 Now we turn our attention to Steak Au Poivre, which you and your fans will love. The ingredients are simple – meat, peppercorns and a little butter, onion and beef stock – and, of course, some Cognac. The result is a perfectly elegant dish. Serve it with Pommes Anna and the crowd will go wild. Don’t confuse the French pepper steaks with the imposters, which are often served with strange cuts of beef that have been sliced, diced, stewed or fried and dumped over rice. The French classic only uses a good tenderloin, either N.Y. strip or filet mignon style. You can also forget the outdoor grill – this dish is done on the stovetop. “Black pepper (Piper nigrum) stimulates the taste buds in such a way that an alert is sent to the stomach to increase hydrochloric acid secretion, thereby improving digestion. Hydrochloric acid is necessary for the digestion of proteins and other food components in the stomach. When the body’s production of hydrochloric acid is insufficient, food may sit in the stomach for an extended period of time, leading to heartburn or indigestion, or it may pass into the intestines, where it can be used as a food source for unfriendly gut bacteria, whose activities produce gas, irritation, and/or diarrhea or constipation. 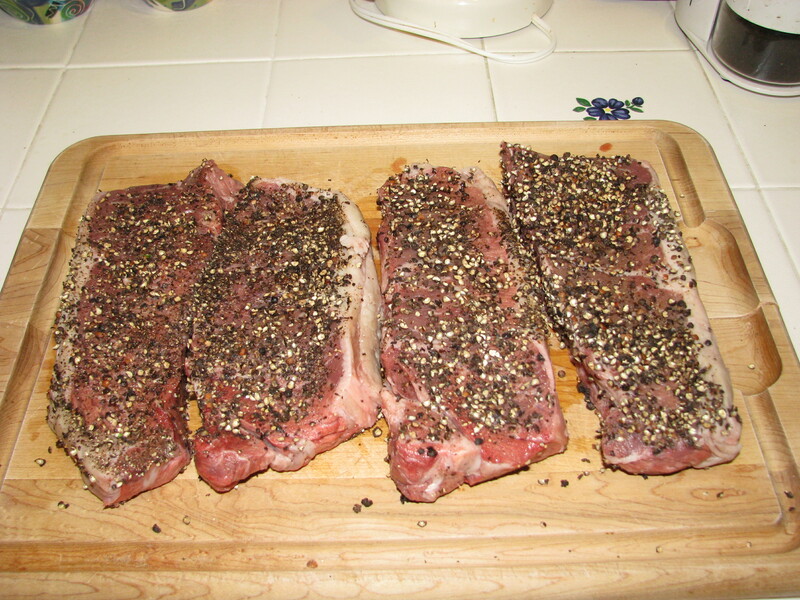 In terms of timing, you need to crack the peppercorns and rub them into the meat about one or two hours before cooking. This is important so the meat absorbs the oils from the peppercorns. Once that is done, this dish is quick to make and can easily be prepared in front of your guests. 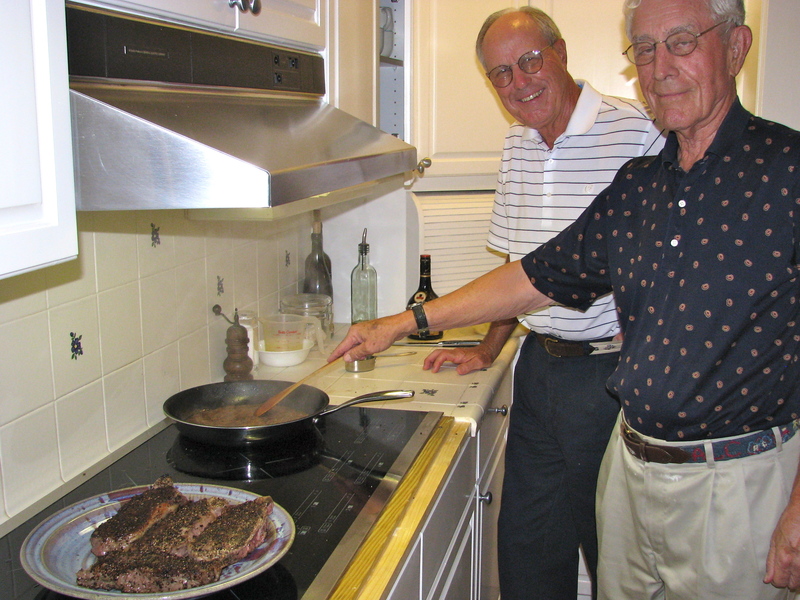 Or, even better, make the guests do the cooking. Our recipe basically follows Julia Child’s version with a few Bravado improvements. Put the peppercorns on a large cutting board, evenly spread out, and cover with a layer of paper towel. Using the flat side of a meat pounder or other mallet, beat the peppercorns until they are all cracked. If you get the right rhythm, you will get most of them to break into two to four pieces. Don’t completely crush them. Gently remove the paper towel. Pat the meat dry with the same paper towel and then put the pieces of the meat on top of the peppercorns and press down hard. Turn the meat over and repeat. Pat the peppercorns into the meat making sure you have used all of them. Cover with wax paper for 1-2 hours. When ready to prepare, heat 2 tbsp. of butter and 1 tbsp. of olive oil over medium high heat. Gently put the meat in the pan so as not to drop any peppercorns and sear both sides for 2 minutes. Salt each side as it cooks. Transfer to a warm plate and cover with foil. You should have a wonderful crust of peppercorns. Melt 1 tbsp. of butter in the pan and add the shallots. Sauté about 2 minutes and then add the beef stock. Using a spatula, scrape the pan to deglaze and reduce the beef stock to about half – about 4 minutes. Add the Cognac and reduce another two minutes. Turn off the heat and mix in the remaining butter. Add a pinch of salt, stir and pour the sauce over the meat. Serve immediately, spooning additional sauce with each serving. Whatever else is being served should be prepared before you start to cook the meat. This dish should not be allowed to get cold. 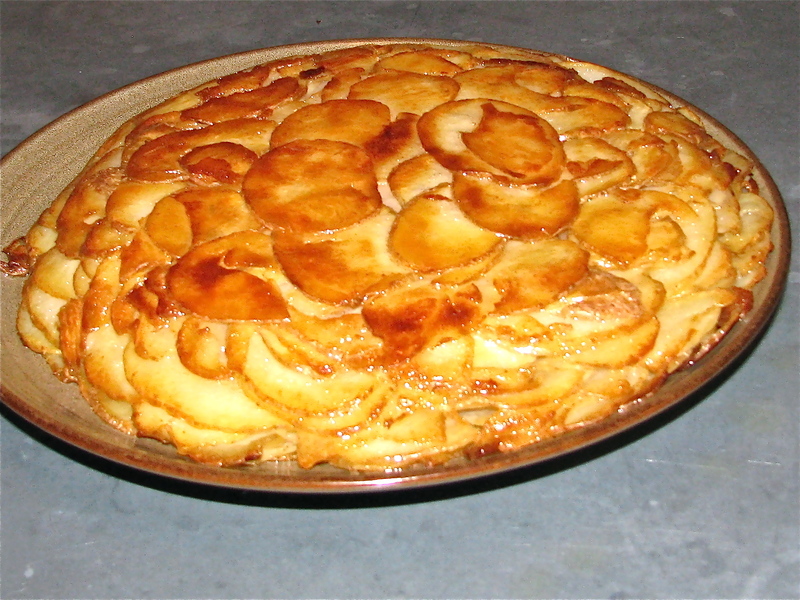 Try Pommes Anna – it is a great accompaniment. I know we all like to put steaks “on the barbie” when the weather gets warm, but control the urge and try this great classic. Never heard of this – I’m not very clued up on my French cuisine – they look wonderful though.